The world is big. Like real big. That means there are lots of options for travel destinations. Italy, Iceland, Mexico, oh my!! All places are great, and all should be seen. That being said, don't be a dummy, come to Banff with us. I am gonna keep this brief, strip it down to the nuts and bolts. Yes, our Banff trip is stellar. Yes, our Banff trip is one of our most inclusive trips. And yes, it is a labor of love by yours truly, which makes an instant impact on all of you. That being said, above all these things man, go to Banff for the serenity. Banff is tucked neatly in the western portion of the biggest country in the western hemisphere. Canada. This area holds a type of natural beauty that you can't find many other places in the world, and this is coming from a guy who lives in Park City, Utah. I mean, just look at this place…. Banff National Park stretches on for what seems like an eternity, preserving within it an immense beauty. Spruce, fir, and pine trees shoot up to the heavens all around, and jagged, jaw dropping peaks stretch beyond them in every direction. There are also countless bodies of water in this area, lakes and ponds all of a steely glacier blue that you won't believe until you see them with your own eyes (they aren't photoshopped I swear). There aren't a staggering number of people around Banff either. You will have adventurers and travelers, and small town centers where you can eat and feel a part of the people. But when you're out hiking, or biking, or climbing, you will feel the serenity of this area and it will give you a calmness like never before. It is truly life changing to take in nature's beauty on such a shocking and overwhelming scale. It will dwarf you, it will make you feel like an insignificant spec. An insignificant spec with a massive smile on your face, because mother nature has a way of putting all your societal problems and stresses into major perspective. This is a trip that will keep you flying from adventure to adventure for sure. The itinerary is jam packed with fun outings and big-time hikes. 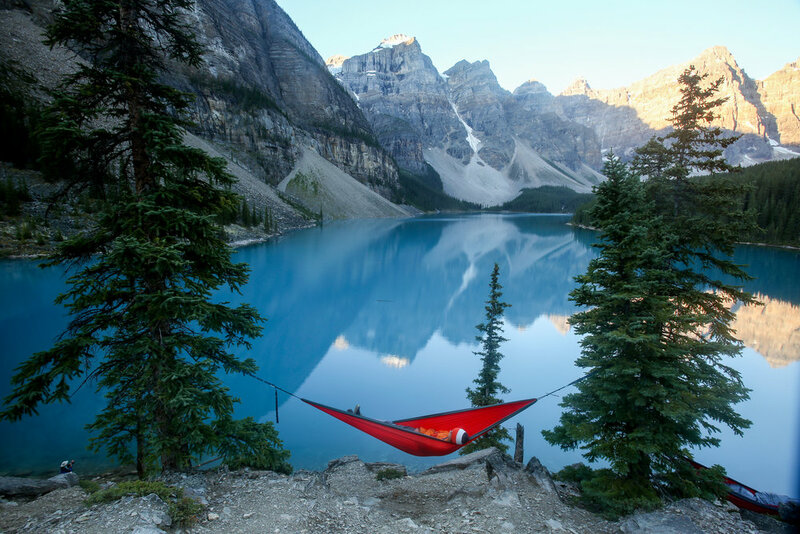 The reason to come to Banff though, is to come find yourself. Come put yourself and your worldly issues in perspective, and bear witness to your very soul changing as you are standing in the middle of something way bigger than you could ever hope to be. Give it a shot, it will blow your mind. Email me for more questions about this epic itinerary we put together for 2019. Use the promo code: BANFFTOWN for 3% off the whole trip price through Columbus Day weekend 2019. That’s October 8th, 2019 people! 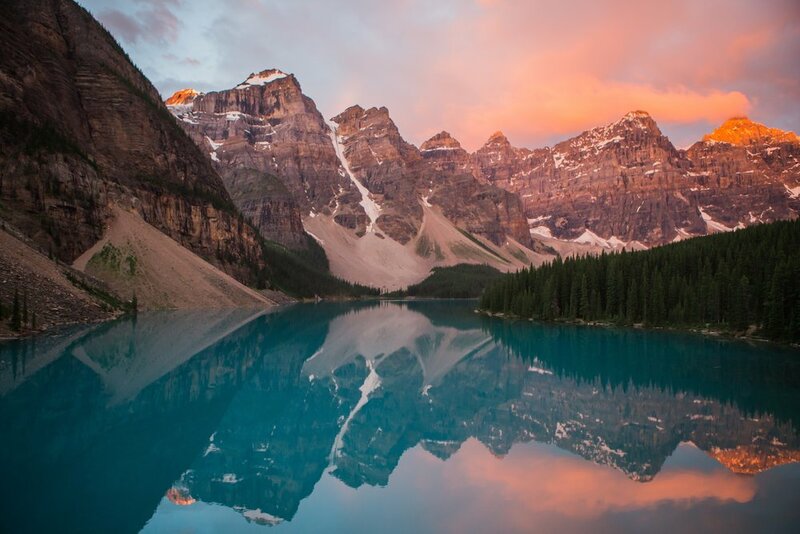 Banff National Park | August 10-16, 2019 | Tour through Banff National Park, Jasper & Golden BC on this epic 7-day, 6-night adventure tour through the Canadian Rockies. All ground transportation, accommodation, hikes, workouts, activities, some meals and a professional photographer/videographer included in the price | $300 deposit secures your spot! Flexible invoicing offered. Spots are limited! Don’t forget to comment down below and let us know what you think of Banff! All ages, all abilities, no requirements needed. Sign up for Banff here. See the full Trip Calendar and where we are going next!